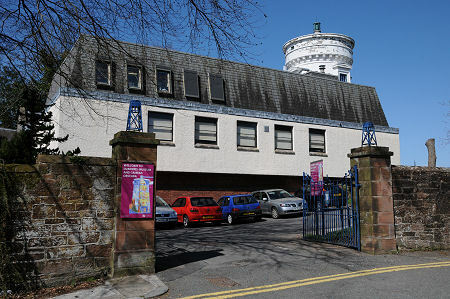 A treasure house of the history of Southwest Scotland, Dumfries Museum is centered around the eighteenth century windmill which stands above the town. You will see fossil footprints left by prehistoric reptiles, the Wildlife of the Solway marshes, tools and weapons of the earliest peoples of the region, stone carvings of Scotland’s first Christians and everyday things of the Victorian farm, workshop and home. On the topmost floor of the museum is the Camera Obscura this historic astronomical instrument gives fascinating panoramic views over the town, on clear days the range is many miles. This is the oldest, unchanged Camera Obscura in the World. Our lens and mechanism date back to 1836. Please remember, although Dumfries Museum is open all year, the CAMERA OBSCURA IS OPEN ONLY FROM APRIL TO SEPTEMBER, Mon-Sat 10.00-17.00, Sun 14.00-17.00 (Also, to preserve this rare artefact, we cannot use it if there is rain). 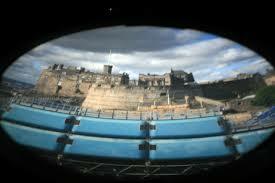 Come and visit our Scottish Camera Obscura between April & September,2015!